Throughout my life, I have heard the expression “It’s just like riding a bicycle” a countless number of times. I never actually thought about what this statement truly meant until I was faced with the challenge of writing this blog. When broken down, the process of riding a bike is very complex. The amount of time one must invest to learn how to ride a bike makes it hard to imagine that the skill could be easily forgotten. After doing some research, I came across an article that discussed the neurological processes that lead to the formation of memories having to do with motor skills. In an article, written by Roger Highfield, he references a study conducted by two scientists at Sheffield and Saint Andrews Universities. In these studies, the two scientists observed that the memories recalled when riding a bicycle are sensory-motor memories, also known as muscle memories. 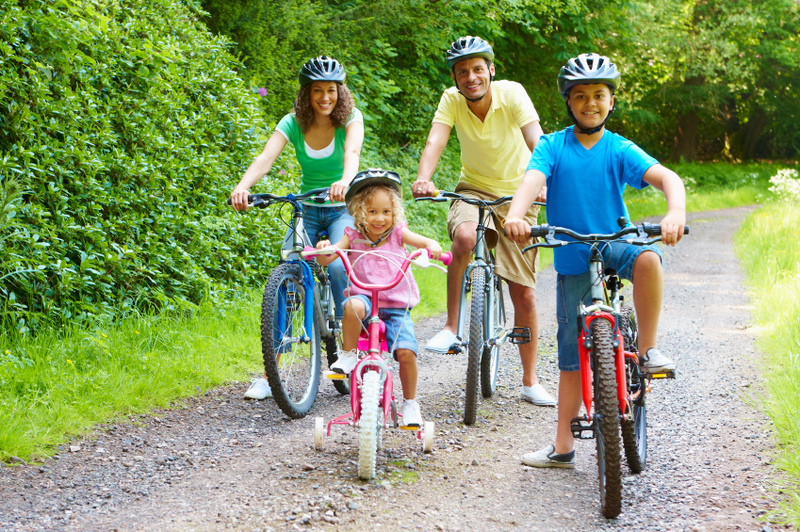 Skills such as riding a bike can be relearned easily because these sensory-motor memories are spread across a large number of brain cells and locked into a pattern that can be easily recalled. A video entitled The Backwards Brain Bicycle, by Destin from the YouTube channel,“SmarterEveryday,” also caught my attention while conducting research on this topic. 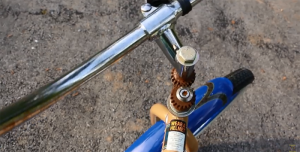 In this video, Destin taught himself how to ride a bike with backwards steering. On a backwards bicycle, if the rider pushes on the right handlebar, the bicycle will turn right and if they push on the left handlebar, the bicycle will turn left. Initially, Destin was unable to ride the backwards bike, but after eight months of daily practice, he mastered riding it. After learning how to ride the backwards bike, Destin found that he could no longer remember how to ride a regular bike. When Destin attempted to ride a regular bike, he could not keep his balance and would fall off almost immediately. It was not until Destin practiced riding the bike for what seemed like 30 minutes that sensory-motor memories of riding a regular bike came back to him and allowed him to ride the regular bike without an issue. After viewing Destin’s video and reading Highfield’s article, I now understand that it is indeed possible to forget how to ride a bike. On the other hand, this activity can be relearned quickly because of the way sensory-motor memories are stored in the brain. Learning about sensory-motor memories has given me a newfound appreciation for subconscious activities human in which human beings participate every day. Just take a second to think about how much of an annoyance brushing your teeth would be if you had to think about every stroke you were making with your toothbrush until you finished cleaning your teeth. Think about how long it would take to type an essay or send a text if you had to think about every keystroke you were making. If you were using a keyboard with a new layout, the way Destin was using a new bike, it would take you some time to master the new layout; however, after you learned the layout of the keys, you would no longer have to think about what key you were pressing. And yet due to the miraculous way our brains work, particularly when it comes to the long term encoding of muscle memories, it would not take too long to return to the mindless and lightning fast manner in which I and most of my contemporaries are able to type. This entry was posted in Uncategorized on September 14, 2016 by Greg Belluscio. Phenomenal post! I thoroughly enjoyed reading this. I find it really interesting how some activities like riding a bike or playing a musical instrument can be easily relearned after going a long period without performing them. I further looked into why this is and it has to do with the brain’s procedural memory. Basically once we learn how to do something and it gets stored into our procedural memory, we no longer become aware that the memory is even there. It just seems like a natural reaction. If you ask a legendary guitarist to play a song after a few months without play he or she might be stiff at first but they won’t forget what to do. Our brains are truly amazing. 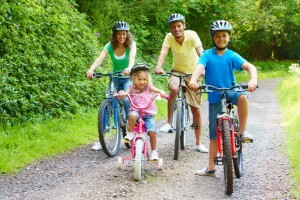 I find this blog post very interesting as I really don’t like riding bikes. Anything off of my feet, be it biking, skateboarding, snowboarding, skiing, or even riding a scooter, I am just terrible at. Don’t worry I can ride a bike, but I always feel like I’m going to fall off. Here is a link (below) about ways to improve fine motor skills. Although most of it is for children who might have severe problems with gaining fine motor skills, the examples of ways to improve are fun and shockingly easy. I won’t spoil the whole list, but the ways to improve fine motor skills range from finger painting to playing with play dough to drawing with broken crayons. Feel free to try some, enjoy! Hey Greg! I think your blog post is really interesting and I definitely will be appreciating my motor skills more too. Did you know there’s a link between motor skills and language development? The faster your motor skills develop as a child, the faster you’ll learn to talk! And obviously, if you struggle to develop your motor skills then your language development will take longer and may even result in speech issues. This article talks about it in more depth if you’re interested! Hey Emann, That was an awesome article. I never even thought about how developing motor skills such as walking or even the ability to control the movement of your mouth could effect a child ability to learn a new language, But it makes sense that it is such a key part of the language learning process. Thanks for sharing that with me! While muscle memory is something I definitely notice whenever I’m typing on a new computer, what really stuck out to me was this video. The whole backwards steering bike is definitely something I can relate to from learning to parallel park. When you’re in drive, the front of the car (where you’re sitting) obviously goes the same direction as the wheel. But in reverse, and the back of the car goes first and then the front follows. Even though putting a car in reverse isn’t a huge feat, for me, this was such a weird concept for me to wrap my brain around since I felt like the wheel and car where going different ways. It took me lots of practice to get used to backing out of a parking spot without thinking and relying on my muscle memory the way I do when the car is in drive. This video explained that weirdness to me by showing that you can teach your brain to accept something even though it physically feels incorrect at first.